I really have been trying to stay on the moral high ground when commenting on our president. Today Obama went too far for me, and this post is designed for his supporters who remain. This feminine, half-white product of affirmative action has managed to do something today that most of you, and all of his crew have no idea about. You see, his lying back-side has never seen hardship in his life. He has never slept outside in the winter, or missed a cold meal while serving his country. Nor has the crime family that surrounds this charlatan. There are two separate, but in context jointed, incidents that have caused me to become outraged. 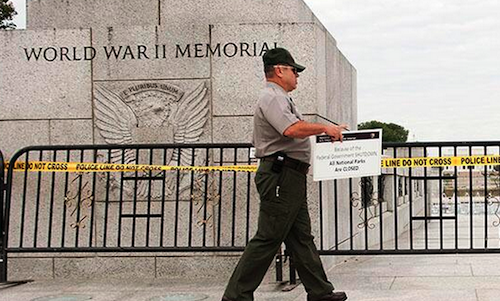 First, the National World War II Memorial took us until 2004 to erect, and this is how much respect Obama’s administration has for those who saved the world for liberty in the 40’s. 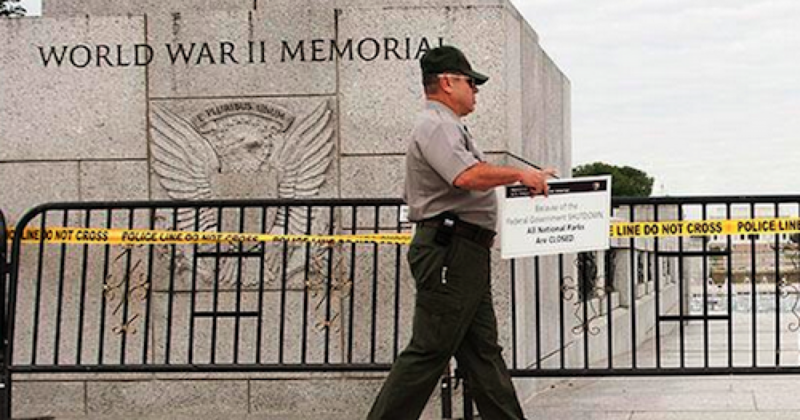 Normally there is no staff at the memorial, but on Tuesday, all of a sudden, National Park Service Rangers were on the scene and barriers had been positioned. The occasion for the bunker approach was an incoming Honor Flight, inbound from Mississippi — a flight of combat tested members of The Greatest Generation. Editor’s note: Hutch’s article, written as a visceral response to Obama’s heinous actions, brings tears to my eyes. I hope every reader will pass this on and do all we can to honor those Greatest Generation heroes AND let our elected officials know we are OUTRAGED by Obama’s actions. These WWII Vets, like all of America’s Veterans, deserve our honor and gratitude. Obama deserves only utter disdain.